The wonderful Cloud B range is the perfect way to help the littlest of dreamers get a peaceful night's rest. With the brilliant Gentle Giraffe On The Go you'll be able to soothe your baby to sleep wherever you are, even if you're travelling, staying somewhere new, or just having a day out! With four different soothing sounds, all designed to help lull your little one into a slumber, including the Savannah, Jungle Trails, Babbling Brook and Victoria Falls, all you need to do is set the timer and a restful night for you and your baby is just a little dream away! 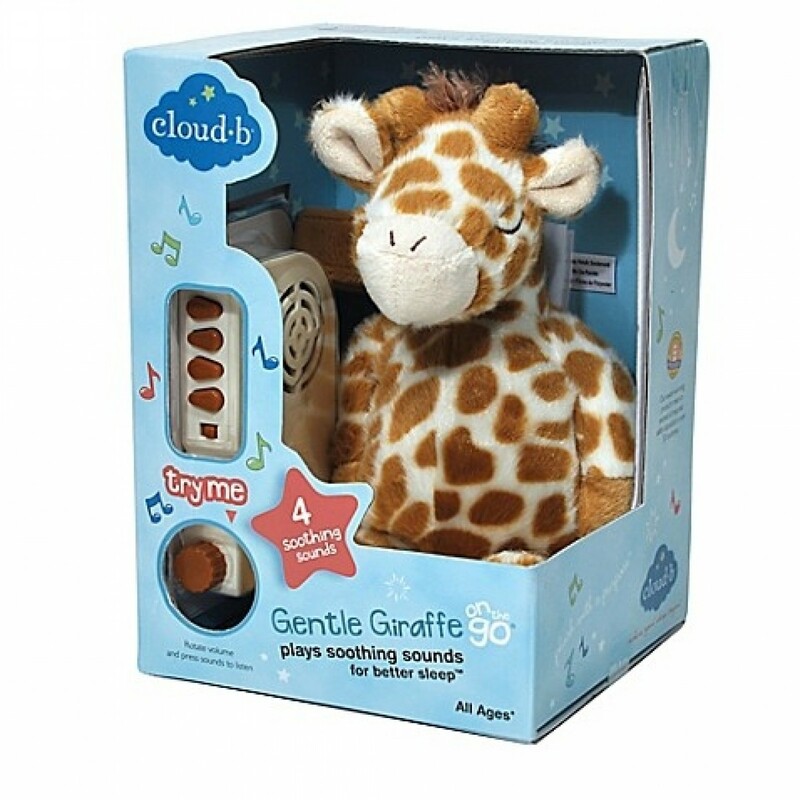 Gentle Giraffe On The Go is a fantastically smart product that looks amazing but is also really good at its job - it's brilliant for lulling baby off to sleep. The cute giraffe is really sweet and cuddly, and as you can tie him to your push chair and bring him anywhere, you can take your sleep routine on the road! The Gentle Giraffe is made to the highest standards of safety - with just a simple battery operated sound box slipped discreetly into its side, there are no visible wires.